Voicing his House of Cards character Frank Underwood, Spacey dropped a twisted video denying all allegations and claiming, "You want me back." Reaction to allegations that Oscar winner Kevin Spacey sexually harassed and assaulted dozens of men throughout the years, was swift. He was excised from Ridley Scott’s All the Money in the World and replaced with Christopher Plummer in time for a 2017 Christmas release date. And the Netflix series House of Cards fired him and moved forward with his costar Robin Wright in the lead. 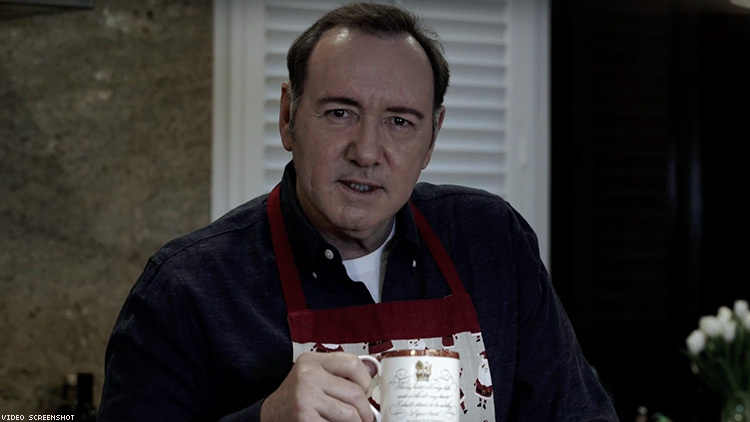 Now, Spacey has staged his own comeback of sorts in a YouTube video entitled "Let Me Be Frank" in which he adopts the accent of his House of Cards Character Frank Underwood while firing out thinly-veiled rejoinders to the myriad sexual assault and harassment allegations that tanked his storied career. "I know what you want. You want me back. Of course, some believed everything and are just waiting with bated breath to hear me confess it all. They’re just dying to have me declare that everything said is true and that I got what I deserve,” Spacey says. “Wouldn’t that be easy if it was all so simple? You wouldn’t believe the worst without evidence, would you? You wouldn’t rush to judgment without facts, would you? Did you?” he adds, placing the onus on the viewer to decide if they rushed to judgment about him. During the height of the #MeToo movement in the fall of 2017, actor Anthony Rapp (Star Trek: Discovery, Rent) shared his story of Spacey assaulting him at a party when Rapp was just 14 years old. From there, allegations about Spacey’s misconduct poured in from several men, which led to the actor's career nosediving. Within weeks, he was removed from All the Money in the World and fired from House of Cards. If there were any lingering question about whether Spacey’s bizarre YouTube video is a giant double entendre, he calls out "life and art" himself. “My confidence grows each day that soon enough you will know the full truth,” Spacey says.